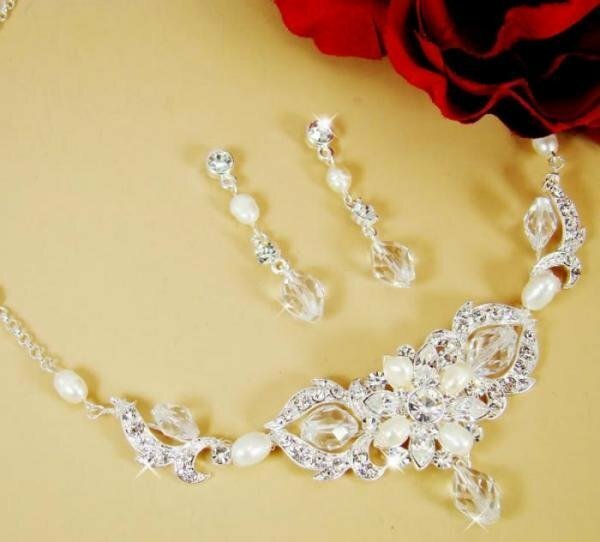 Dazzling and spectacular, this bridal necklace and earring set features ivory freshwater pearls, clear rhinestones, and Swarovski crystals in an eye-catching design. Made from high quality materials. 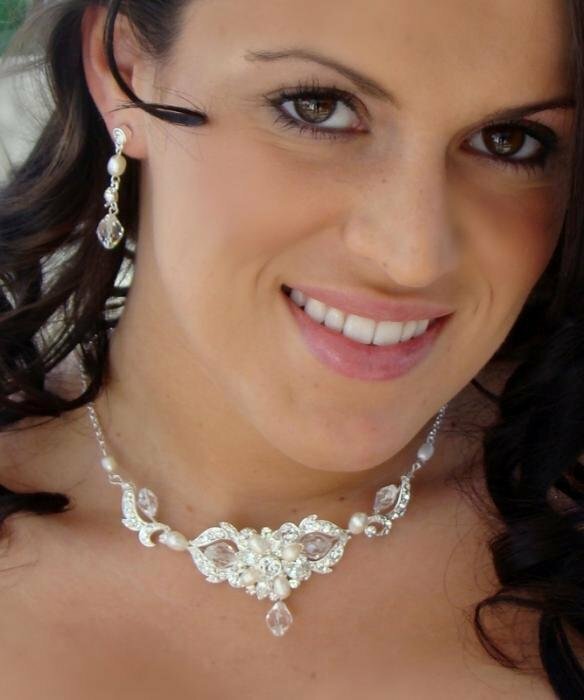 Versatile, the set coordinates beautifully with your white or ivory wedding dress and is the perfect addition to your wedding. The necklace measures 35.5 cm long with a 10 cm extender and lobster claw clasp. The earrings measure 4 cm long. Available in gold or silver, please specify your colour choice above. Silver in stock ready for immediate shipping. 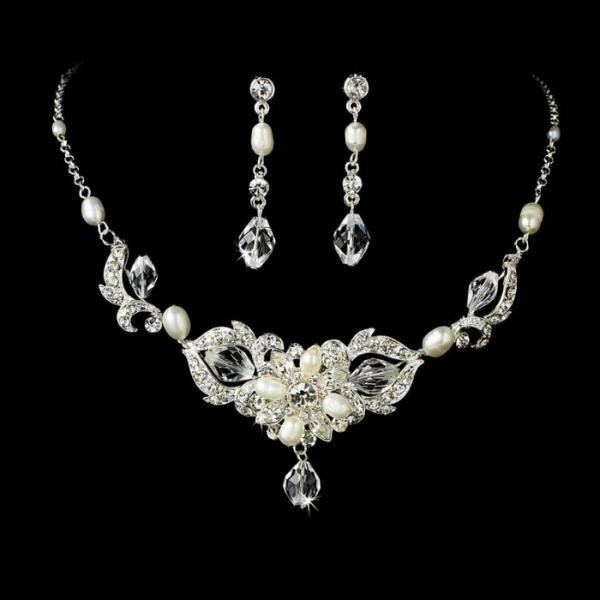 I bought this necklace set for my wedding, it is beautiful, sits really nicely along the neckline, matches my dress nicely.